Jones Manufacturing Inc. (JMI) began on Dec. 7, 1994, sharing space with a truck rebuilder. Since our beginning, we have been a York-based manufacturer serving many industries such as medical, electronics, wire, food, pharmaceutical and automotive. Today, we are housed in a 17,000 sq. ft. facility with 15 employees. Significant attention is given to our CNC capabilities and the brand selection of the machine tools. In our Milling department, we have 8 Milltronics CNC Mills of varying sizes and work envelopes. In the Lathe area, we have 4 Mazak CNC Turning Centers. By utilizing equipment with programming and operational harmony, we can achieve a higher degree of shop floor efficiency. JMI's goal is to tailor our manufacturing assets to the customer's requirements, with the objective of establishing long term relationships. Services: Jones Manufacturing is a production shop, with an emphasis on both short term and long term component manufacturing. We have stocking programs for customers where JIT deliveries demand quick response. We also get involved with prototype components where 1 & 2 pc. lots are required. Our tool room is well equipped with a hand surface grinder, fully automatic grinding and multiple mills with digital readouts for accuracy. Jones manufacturing serves the train industry in the area of gauge manufacturing, calibration and rebuilding of existing gauges. We also manufacture blanks from a variety of materials, a value added service our customers appreciate. With multiple saws we offer production cutting and vibratory to complete the task. Our capabilities are diverse and experience extensive. 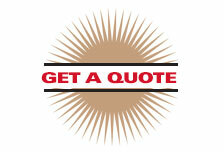 We would appreciate the opportunity to quote your next requirements. Location: We are located convenient to Rt. 83 and Rt. 30 which is an enhancement for incoming and outgoing deliveries. We truck within 75 miles radius with company vehicles and ship per customer designation when needed.